Manual drilling equipment to produce a 5 meter deep tube well in soft sediment (sands, river gravel etc) by well jetting. 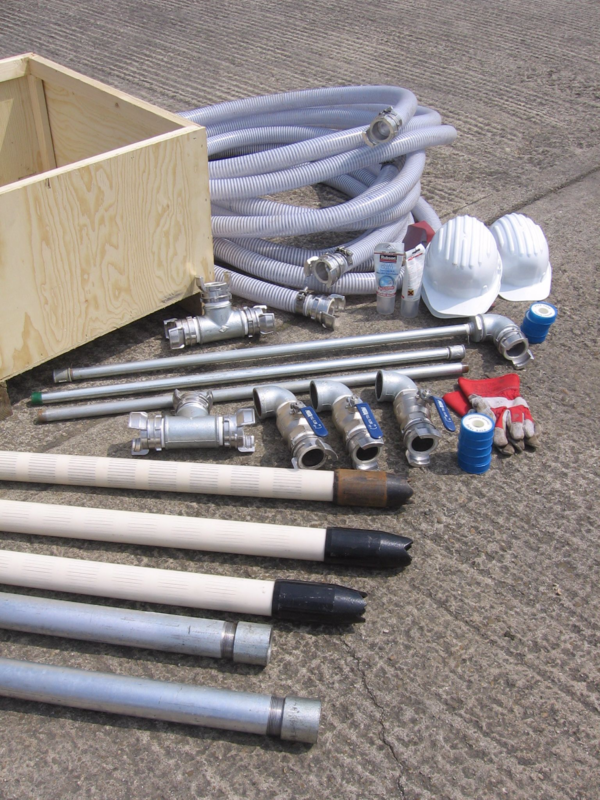 This kit is easy to use and can provide water very quickly in suitable ground conditions. Idea for use on river banks - where the well can use the river gravel as a filter, in waddies during the dry season, and other situations where water is known to be close to the ground surface. The Pump kit, Code PR2J, is needed to use the jetting kit. The pump is used for jetting the wells and for water abstraction. Water is required on site for jetting. Use a trucking bladder kit to transport water if required.